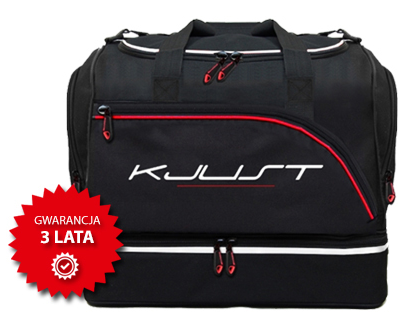 We are the owner of the brand Kjust, the leading European manufacturer and distributor of tailor-made car-bags sets, which perfectly fit to trunks of various car models. We are the market leader in Poland, and having in mind very good quality and pricing, we also launch our products to West-European countries. However, we deliver from polish online Shop to almost all European countries. Each new product is born from the need, and so it was with the first products we designed. Based on own experiences and experiences of other drivers as well, we created products, whose main goals were to pack comfortable and easy, and to reduce time of loading, taking into consideration maximum capacity of single bags and the entire trunk as well. We did it successfully. Our car bags solve all above mentioned problems, which touch almost everybody who travel by car. Our car bags are produced by experienced polish and foreign companies, who have long traditions in production of such goods. We do believe, that the outfit must go with the utility together, therefore our designers do care about all the details, making our products not only user friendly but also elegant. We do work hard to position the Kjust brand as a specialist for car bags sets.